The best accounting software for real estate agents. Realtyzam is a simple accounting software built exclusively for real estate agents. If you're looking for a super fast and simple tool to track your expenses and instantly generate the report you need for your taxes, then you're going to love Realtyzam. Bottom line...you'll save a ton of time by doing your accounting with Realtyzam. You can manually key in your income and expenses, upload them, or you can link your bank account and credit cards. If you link your bank account and credit cards Realtyzam will automatically download and categorize your transactions every night. All you have to do is login once in awhile and save the ones that are business expenses. It's that simple. Tax time will be so easy. You will absolutely love Realtyzam at tax time. It literally takes 10 seconds to generate the report you need for your quarterly or year-end taxes. Simply print it out, hand it to your tax person, and you're done. It gives them everything they need, exactly the way they need it. With Realtyzam you can upload receipts for any expense using your computer, tablet, or from your phone with our free mobile app. Realtyzam automatically stores a digital copy of the receipt and links it to that expense. If you ever need to see the receipt again, just click on the expense and boom...there's your receipt. Track your real profit on every deal. With Realtyzam you can track your expenses, broker fees, and the real profit you make on any deal or client. You can even run reports that show your average commission, average expenses, buyer and seller conversion rates, which lead sources generate most of your sales, and so much more. 9 out of 10 users who try Realtyzam say they like it. What makes Realtyzam so special is how easy it is to use. Any real estate agent can pick it up and instantly understand it...it's that simple and intuitive. Don't take our word for it though, click here to see the last 25 reviews from our users (in real-time). These are real feedback reviews from real agents like you. Realtyzam is 100% free to use for 30 days - no credit card required. Use it as much as you want for free for 30 days. After 30 days you can select one of our paid plans and pay with a credit card. If it's not for you then no big deal...you don't need to do anything. Your account will automatically go inactive. It could be free even after 30 days. If you're just starting out in real estate or just getting back into it then you'll love this...after the first 30 days Realtyzam is still free to use until you sell 3 properties or log $5,000 of income and expenses. It's our way of helping you out while you get started. Realtyzam is tax deductible too. This means the real cost is 15-35% less depending your tax bracket - see the calculations. Most people cringe when they hear the word "Accounting". No one likes to do it, but unfortunately, as an independent real estate agent, you have to. Accounting (also called bookkeeping) can actually be fairly simple if you have a good system for categorizing your income and expenses correctly. The problem is that most real estate agents (and most self-employed professionals) don't know the IRS rules for categorizing and reporting certain types of expenses. If you're an independent real estate agent, using an accounting program to track your income and expenses (even if it's not Realtyzam) is a must. Accounting software, especially those that are specifically designed for real estate agents, can help you save big $$$ on your taxes. Not to mention, help you avoid common mistakes when reporting certain types of expenses. For example, most people don't know that you can only deduct 50% of your expenses for meals and entertainment. Or that you can deduct $.56 per mile for any business related driving, including showings, listing meetings, training, market research, etc regardless of the actual cost of gas. However, the IRS requires that you keep a detailed log of your travel activity, which Realtyzam does for you. What tax benefits can I take advantage of as a self-employed real estate agent? What is self employment tax and how does it affect me? What options do I have for retirement savings? Make sure they are a CPA, not just a tax preparer. Most tax preparers only need to take a simple course, where as CPA must have a 4 year degree with a concentration in accounting. Their knowledge will be far more extensive and will ultimately benefit you more in the long run. Ask your friends/family who they use, especially if you have a friend or relative who is a real estate agent. Be sure to ask the accountant if he/she charges for answering general questions about accounting. A good accountant won't charge you every time they take your call or answer an email. As a real estate agent, you're bound to have a ton of questions, especially once you start making a lot of money. Ask him/her how long they've been an accountant. Ask him/her what happens if you get audited? Do they help you through the process? Two of the most common questions we get is what are the best tax deductions for real estate agents and whether or not a particular expense is tax deductible. First off, you can deduct just about anything you buy if it's for your business. Many real estate agents don't realize that you can literally write-off just about anything you use in connection with your real estate business, even some of your personal expenses. A quick word of advice and it might sound a bit salesy (not sure if that's a word), but it's true. You really need to adopt a good system for tracking your expenses and keeping good records. And putting your receipts in a shoebox until the end of the year doesn't count as a good "system". 1) It will save you a ton of time. 2) It's easier to generate reports for your accountant at the end of the year (or the IRS). 3) If you link your bank account or credit cards the many programs can automatically download and categorize your transactions, which will save you a ridiculous amount of painstaking data entry. 4) You'll be more organized and you won't have to waste a ton of time accounting. I hope we made our point without sounding too over the top. Go ahead and click the links to the left to learn more about the best tax deductions for real estate agents. Make sure you are tracking these kinds of expenses because we've found that so many real estate miss out on them. This is probably the most overlooked and most misunderstood deduction. The IRS allows you to deduct the cost of operating a business out of your home, even if you have a desk at your broker's office. Yes, let me repeat that, you can deduct a home office even if you have a desk at your broker's office. But, how can this be? As long you exclusively and regularly use the space for business activities (e.g. record keeping, doing your accounting, setting up appointments, searching the MLS, paying bills, maintaining client databases, reviewing real estate publications, etc). then you can deduct it on your taxes. If you think of yourself as a business entity it makes sense. If XYZ Company has 10 offices throughout the country, do they only get to write-off the expenses for 1? Of course not, they get to write off the cost of all of them...and so do you! Which method should I use for deducting my Home Office? There are 2 different methods you can use for deducting your home office. The easy method (called the IRS Simplified Method) and the complicated method (traditional method). This method is, as it's name implies, super easy. All you do is take the total square footage of the area you use for your home office and multiply it by the home office rate (published each year by the IRS). The current 2018 rate is $5.00 per square foot. Example: Let's say you have a 12 ft x 12 ft room in your house that you use as a home office. Your deduction amount would be 12 x 12 x $5.00 = $720. Another nice thing about using this method is that you don't have to keep any receipts. You just have to document the room/area of your house that you used. Example: Let's say that you add up all your home expenses for the year and you end up with $15,000 in expenses. Let's say you have a 12 ft x 12 ft (144 sq ft) room in your house that you use as a home office and your the total size of your home is 1800 sq ft . Your deduction amount would be 144 / 1800 x $15,000 = $1,200. The only downside to using this method is that you have to keep receipts for all the expenses, which takes a bit more work, but it can result in a larger tax savings, especially if you have a mortgage payment. Its simple. Calculate your deduction both ways and whichever is more, use that one. If you don't want to take all the effort to calculate it, then just use the simplified method. It's quick, easy, and automatically saves you money on your taxes. Taxpayers may continue to deduct 50 percent of the cost of business meals if the taxpayer is present and the food or beverages are not considered lavish or extravagant. Ok, so what does this mean? Basically, you have to be present during the meal and you have to talk business while you're there. This means you can still take clients out to lunch or dinner, just make sure you talk business with them while you are there. Most people know that you can deduct the use of your car, but you might be surprised by how many people are misinformed. First of all, and most importantly, you cannot deduct both your mileage and your actual expenses (i.e. car payments, insurance, gas, repairs, etc). It's one or the other. With the mileage method, you simply track the miles you drive for your business activities (showings, meetings, conferences, trips to get supplies, basically any business related activity) and multiply them by the IRS Standard Mileage rate (changes each year). Example: Let's say you drive 10,000 miles for business in 2018. You would multiply that by the 2018 IRS Standard Mileage Rate of $.58/mile which gives you a total tax deduction of $5,800 (10,000 x $.58 = $5,800). When you use the mileage method, you cannot write off gas, repairs, insurance, or any other vehicle related costs, which basically means the only other thing you can write off that's related to your vehicle is parking and tolls. With the actual expenses method, you would track all of your vehicle related expenses for the year (car payments, insurance, gas, repairs, etc) and portion them based on the amount of business miles you drove relative to the total of business and personal miles. Example: Let's say the annual total of all your vehicle expenses is $9,500 and you drive 10,000 miles for business and 8,000 miles for personal. You would first figure the portion of business miles to total miles, which is .56 (10,000 ÷ 18,000 = .56). Then you multiply that times your vehicle expenses, which gives you $5,320 (.56 x $9,500 = $5,320). 95% of the time you'll get a higher tax deduction using the mileage method over the actual expense method. Regardless of which method you use, you need to keep a log of your mileage (which Realtyzam has), which must at a minimum include the number of miles driven, the to and from location, and the business purpose. One of the greatest benefits of being self-employed is that you can open your own retirement plan that will allow you to put away money for retirement, just like you could if you were an employee, but with higher contribution limits (i.e. bigger savings) and more control. When you are an employee you typically save for retirement through your company's 401k plan, or if your company doesn't have one, then you would have to open a Traditional IRA. Traditional IRA's and 401k's work pretty much the same way. You contribute part of your income before federal and state income taxes come out, which means you aren't paying taxes on that amount. That money is allowed to grow tax free year over year, but you can't withdraw it from the account until you are 59 1/2. Any withdrawals before then are subject to a 10% early withdrawal penalty. 401k contributions are limited to $18,500 and Traditional IRA's are limited to $5,500 per year (as of 2018 - the IRS changes the limit every year). So basically the most you can sock way for retirement is $18,500 and that's assuming your employer has a 401k plan, otherwise you are limited to $5,500. Here comes the great part...when you are self employed you can open something called a SEP IRA (Simplified Employee Pension IRA). SEP IRA's are only available to self-employed individuals. It works just like a 401k and an IRA, but it has a much higher limit. With an SEP IRA you can contribute 25% of your net income (income minus expenses) up to $55,000. Yes, you just read that correctly, up to $55,000! How's that for a tax break! Remember, that's $55,000 that you can sock away tax free. That means if you normally pay 20% in state and federal income taxes you would save $11,000 (20% x $55,000 = $11,000). Obviously the savings are different depending on your state and federal income tax bracket you are in, but I'm sure you get the idea. SEP IRA's are actually really easy to setup. All the major online brokerages (TDAmeritrade, ETrade, etc.) offer them. They are usually free to open and they give hundreds of options for buying different mutual funds and stocks. One last word of advice...with great freedom, comes great responsibility. Remember, an SEP IRA is a retirement account designed to provide for you when you retire so invest it accordingly. You may want to heed Warren Buffet's advice when he said "Consistently buy an S&P 500 low-cost index fund. I think it's the thing that makes the most sense practically all of the time". What is self employment tax and how does it apply to real estate agents? Almost all real estate agents are considered self-employed for tax purposes. If you filled out a W-9 form when you first started with your broker, or if you get a 1099 form at the end of the year, then you are considered self-employed and are subject to self-employment taxes. This means that your net income (income - expenses) is subject to the Federal Self-Employment tax of 15.3%. When you are considered self-employed by the IRS, they make you pay your taxes quarterly (because there is no employer withholding them for you). You estimate your net income for the year (income - expenses) and your corresponding estimated tax liability, divide it by 4, and pay that amount each quarter. You pay (or get refunded) the difference between the estimated and actual amount when you file your tax return at the end of the year. Estimating your tax liability, can be tricky because there are so many factors involved, which is another reason that you need to find a good accountant. They can help you avoid any IRS penalties and fees incurred for underestimating your tax payments. What banks/credit cards do you support? There are two different ways you can import your data into Realtyzam. You can download your data from your bank or credit card's website via a file and then import it into Realtyzam (all banks supported). Or you can link your bank account to Realtyzam and the system will automatically download your new transactions every night (over 15,000 banks supported). Can I create my own expense categories? Yes. You can also create subcategories too. Does Realtyzam integrate with Quickbooks? Can I use Realtyzam for my entire brokerage and is the price the same? Yes and yes. The only case where it wouldn't work for an entire brokerage is if you have W2 employees. Realtyzam does not have the payroll tax functions required for direct employees. Do I have to pay extra to import transactions from my bank account or credit card? No. It's completely free to import your data. Can I enter data from prior years? Yes. We actually encourage it! We're always here to help. Our customer support is done via email and most questions during normal business hours are answered within 2-3 hours (usually less in most cases). Actually, our users rave about how great our customer support is. Yes, for Android and Apple. It's free too. Are their setup fees or cancellation fees? No. There are no hidden or extra fees whatsoever. Where is your tech support based out of? All of our tech support is based in the U.S.
How do I get all my data if I stop using the site? We will happily email you all of your data in an Excel format at no charge. Real-time feedback from our users. 9 out of 10 users who try Realtyzam say they like it. Check out the last 25 feedback responses from our users. These are real and uncensored so they may contain tech support questions, suggestions, etc. If there isn't a comment then that user did not provide one. We've also been featured in Inman and REALTOR® Magazine. Click on the graphics below to read the articles. We are always interested in working with new strategic partners to help us reach even more real estate agents. We have a very generous revenue sharing program that makes it simple and easy to promote Realtyzam. Fill out the form to the right and we'll be in touch soon! We take the security of your data and your personal information seriously. Which is why we employ a number of advanced digital and physical security protocols to make sure your information stays safe and secure. 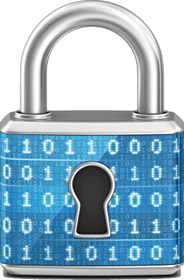 All data transmissions between our server and your computer, phone, and/or tablet are encrypted with 128 bit SSL/TLS encryption and all account passwords and other sensitive information are 512 bit encrypted before they are stored on our servers. We are also integrated with a number of leading FinTech companies that specialize in managing bank account and password data used for the (optional) bank linking feature. If you're interested in providing Realtyzam as a software tool for your agents, we have group pricing available. With our group packages, you get reduced pricing and a dedicated account representative (subject to a minimum number of subscribers). Hi, my name is Steve Bjorkman and I am the CEO and founder of Realtyzam. I've had a lot of people ask me how I came up with the idea for Realtyzam, so I decided to tell the story here. The idea for Realtyzam came about one day when a user from another site that we had created (NotaryGadget.com) sent us an email explaining how much she loved NotaryGadget and suggested that we create something similar for real estate agents. I thought...hmmm... interesting idea...maybe I could apply the same concept I used to help notaries track their expenses and save money on their taxes to help real estate agents. The more I thought about it the more fun it sounded (yeah...this is the kind of stuff that software guys think is fun). So I did some research and decided to create Realtyzam - officially founded in 2014. For as long as I can remember, I have always felt that the problem with most software is that it's either too complicated or takes way too long to learn. I wanted to change that. So the concept was simple...create an ultra easy-to-use accounting software designed around the way real estate agents need to track their expenses. I wanted to create something different...something that was so intuitive and so easy to use that any real estate agent could pick it up and instantly know how to use it without any help. I've always believed that there is a certain beauty in simplicity. Once we released the first version, we worked hard to gather as much feedback as we could from our users and started making changes and adding new features based on their input. What you see today is largely the result of our users' feedback and over 10 major releases. So as much as I would like to say it was all my idea, it really wasn't. Honestly, most of the credit goes to my staff and all of our users who continue to send us their feedback and suggestions for new features. And that's the story of how Realtyzam was born. I truly hope that Realtyzam helps you and you enjoy using it. There's nothing that makes me more happy than knowing that we created something people love to use. © Realtyzam, LLC. All rights reserved.